The directions of up and down are determined from the direction of the Earth’s gravitational acceleration. Up is in the opposite direction, and down is in the same direction as the Earth’s gravitational acceleration. Flat-Earthers are often seen making fun of this fact. They show us ‘upside down’ pictures taken in the southern hemisphere. They are wrong. To anyone in the southern hemisphere, down is in the same direction as the Earth ‘s gravitational acceleration, the same as anyone in the northern hemisphere. Everywhere we are on the surface of the Earth, the direction of gravitational acceleration is towards the center of the Earth. To any observers on the different locations on Earth’s surface, down is towards the center of the Earth. The absolute directions are different as their absolute positions relative to the center of the Earth are also different. The human body has a vestibular system that tells us our spatial orientation. We can sense which way is up or down, even when blindfolded and upside down. The vestibular system detects acceleration. 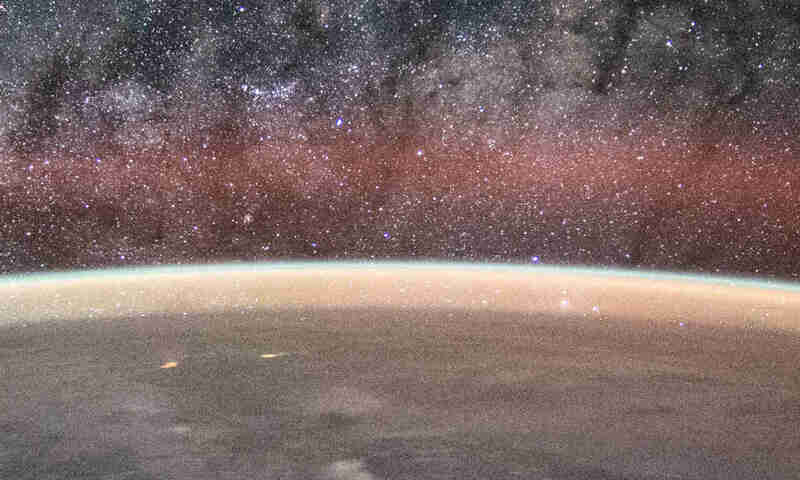 If it can’t sense any acceleration —like in the case of an astronaut orbiting the Earth— we can’t sense which way is up or down. In the ISS, there’s no such thing as up or down. Flat-Earthers’ ignorance stems from the misconception that down must be to the same direction, everywhere we are on the Earth. They are wrong. Down is towards the Earth’s center of gravity, everywhere we are on the Earth.